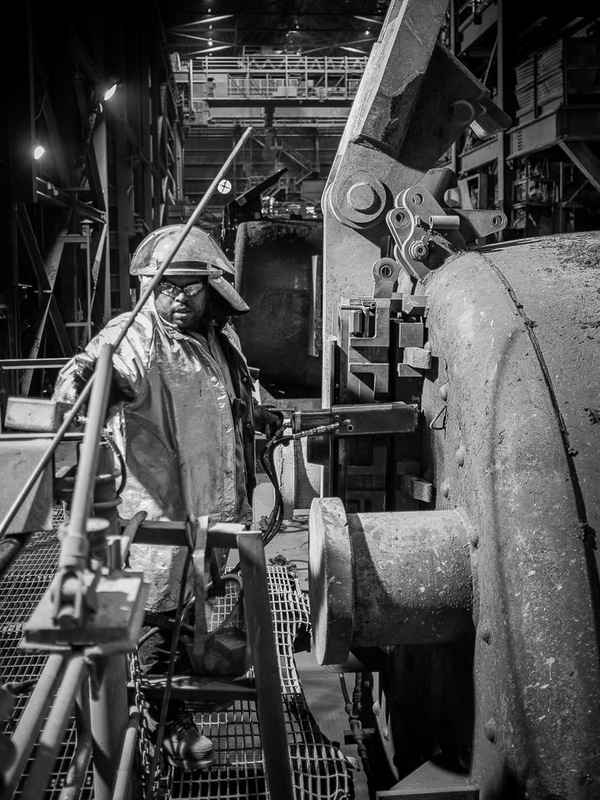 A workman prepares the critical ladle gate and nozzle which allow the steel to be drawn from the bottom of the ladle and rate of flow to be controlled. So, it's over. The steel mill where I've worked for 22 years has closed the "melt shop" where now steel is made by melting scrap and refining it into new and better steel grades. No more. I went in early AM to catch the last heat melted and followed it down the line. Most photos taken with the Fujifilm X100S and some with a Fujifilm X-M1 and Fujinon 35mm f/1.4. Please like my Facebook Artists page: entropic remnants photography on facebook Also, please visit the Entropic Remnants website, my Entropic Remnants blog, and my Entropic Remnants YouTube page -- THANKS!